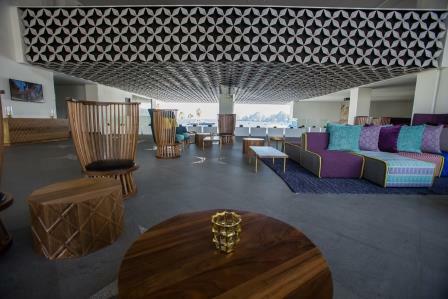 On the sands of Playa el Medano, the only swimmable beach in Cabo San Lucas, ME by Melia features modern design, innovative cuisine and a sophisticated yet laid-back atmosphere. From Passion nightclub on world-famous Nikki Beach to The Level, an adults-only floor, the resort offers a romantic, seductive vacation experience. 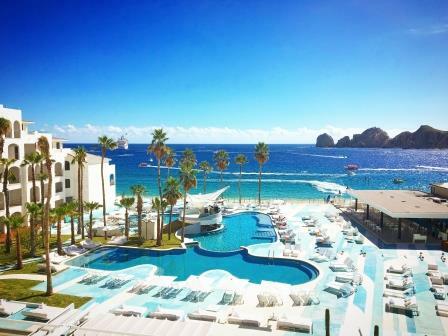 You'll have unique in-room amenities, such as a pretuned iPod, home theater and hot tub, and you'll enjoy inspired global cuisine served to a groove on the finest stretch of beach in Cabo. The Deck: sandwiches, sushi, fresh sashimi, ceviche, delicious salads, guacamole, and cocktails.